Amazon.com description: Product Description: Beginning students in Japanese martial arts, such as karate, judo, aikido, iaido, kyudo, and kendo, learn that when they are in the dojo (the practice space), they must don their practice garb with ritual precision, address their teacher and senior students in a specific way, and follow certain unwritten but deeply held codes of behavior. But very soon they begin to wonder about the meaning behind the traditions, gear, and relationships in the dojo. 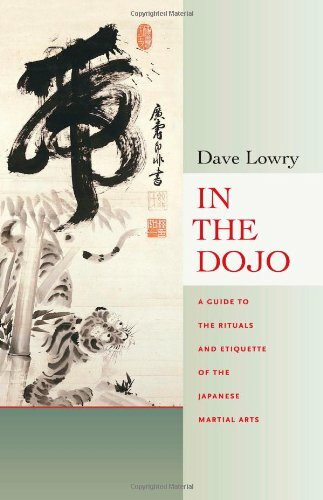 About: Beginning students in Japanese martial arts, such as karate, judo, aikido, iaido, kyudo, and kendo, learn that when they are in the dojo (the practice space), they must don their practice garb with ritual precision, address their teacher and senior students in a specific way, and follow certain unwritten but deeply held codes of behavior.